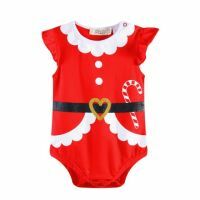 Santa Baby - Its you I adore - super sweet baby Christmas onesie. 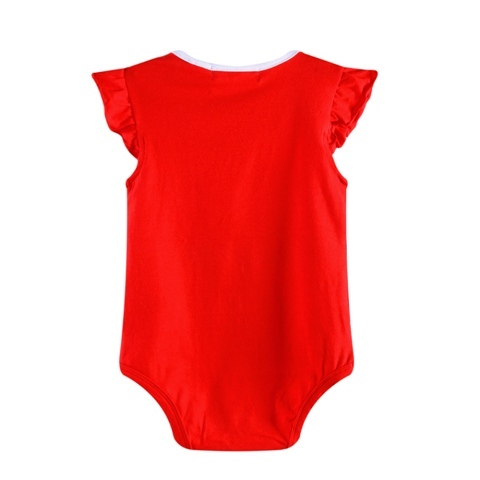 How delightful is this little Mrs Santa Claus Infant Romper? It is cute cute cute with it's little ruffle sleeves and printed santa outfit. This is an great Christmas bodysuit for baby girls as they can wear it from the table and straight to bed, as there is no tulle its not scratchy if it all gets too much and your little bubby needs to take a Christmas nap.